Illustrated here with the longer 74cm, 27mm diameter barrel and also the shorter 56cm, 16mm diameter barrel. The Tactical is a switch barrel rifle and will accept any Classic or Victory barrel without modification. To reduce weight further, an aluminium action body is available as an option. 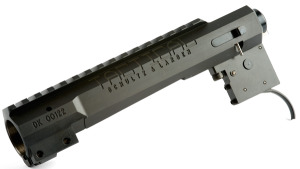 The Tactical is supplied with 5 shot magazine as standard, but will accept the smaller capacity magazines if required. 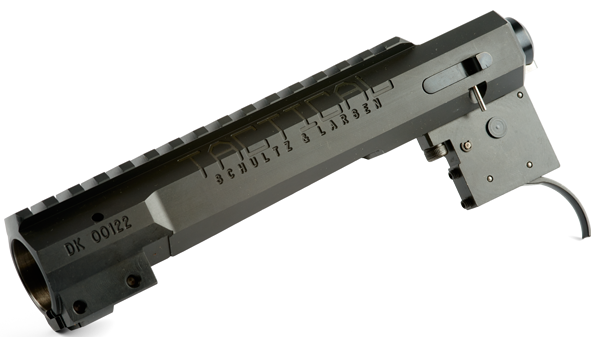 As standard, the Tactical is fitted with the excellent Schultz & Larsen designed 2-stage trigger. The first stage of the pull takes up 60% of the pull weight making for a very light and crisp final break.